I am currently FLYING through my summer reading list! After I finished The Fault in Our Stars I decided I wanted to start another trilogy. If you are like me, one book is never enough. I like to read trilogies and series so the story keeps going and going. I did not know what these books were about prior to reading them. I only knew that the first movie comes out on DVD in a couple of months and they are filming the second one now. I love reading books that are made into movies so I picked up the first book and started reading. Book one was so exciting and addictive. I found myself having a hard time putting it down, so as you can see, I didn't. Since I had no idea what the books were about it was all very exciting and I couldn't wait to see what would happen next. I'm also a sucker for a love story and I really enjoyed how they were setting up Tris and Tobias. I also thought the concept was really cool. It did remind me a bit of the Hunger Games books, but obviously very different. Book two was a bit harder to get into, as the plot takes a big change of direction. It definitely grabbed me back in during the second half and I was back to being very addicted to seeing what would happen next. Book three confused me a bit with the amount of "voices". The first two books you read and "Tris" is the one who's voice you are reading. The third book switched between Tris and Tobias almost every other chapter. Truth be told I had to restart a few chapters because I didn't realize who I was reading it as. It did clearly say it under each chapter number, but I was so into it, I just over looked it a few times I guess. I was not ready for how the book ended. I cried. I cried a lot actually. Even though I didn't necessarily like how the trilogy ended I don't know if it could have ended any other way. I don't want to ruin it for anyone who hasn't read them yet, so if you want to book chat, let's do so in the comments section. 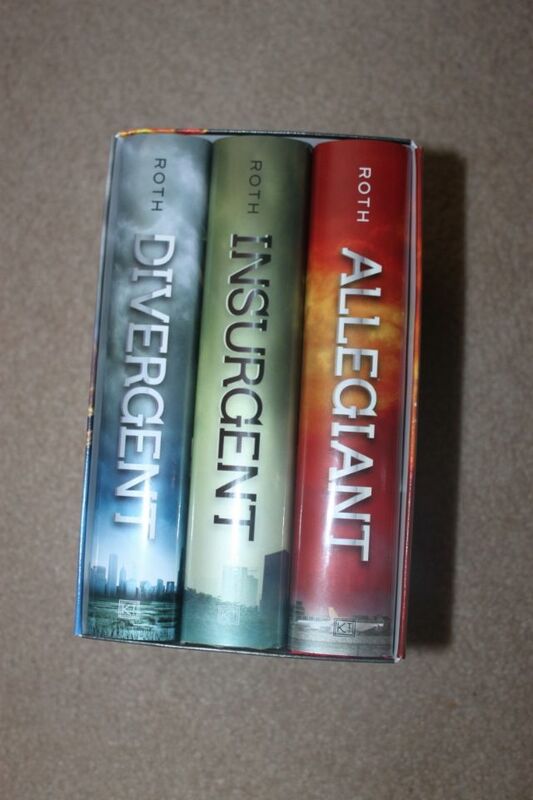 Have you read the Divergent Trilogy? What did you think? Did you know when starting book one where you would end up in book three? i'll be reading this eventually as i just bought them for my daughter.